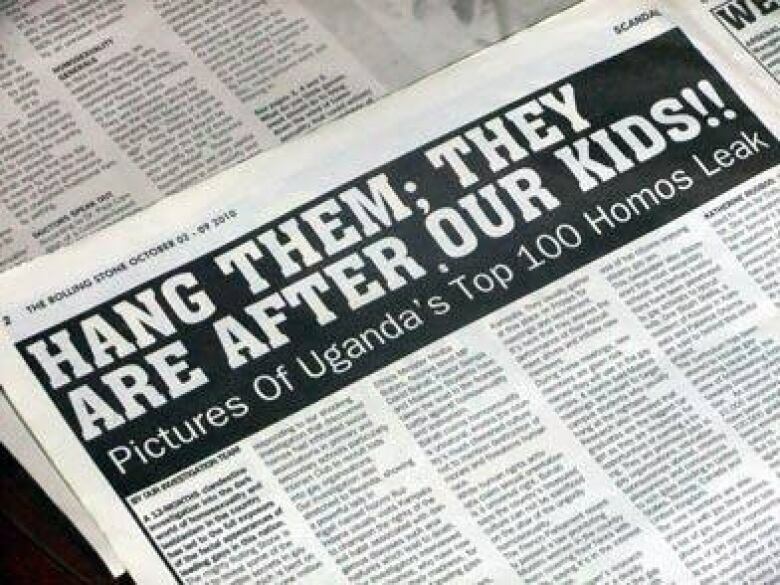 The Ugandan High Court has ruled that one of the country's newspapers cannot identify people as homosexuals. The Dec. 30 decision said the Rolling Stone newspaper — which published stories in October identifying people the editor said were gay — could no longer publish the identities or home addresses of the people in the case, nor of homosexuals generally. The applicants in the case were also awarded their court costs along with $1.5-million Ugandan shillings each — about $650. One article featured the headline, "Hang Them; They Are After Our Kids!!" and included photos. It said that gays had plans to recruit one million "innocent kids" by 2012. At least four people said they were attacked because of the article, including one woman who said she had to move to a secret location after people began pelting her home with stones. Justice Vincent F. Musoke-Kibuuka wrote in his decision that the central issue was whether the publication threatened the dignity of people in the article. "Clearly the call to hang gays in dozens tends to tremendously threaten their right to human dignity," it said. A 2009 private member's bill that is before Uganda's parliament would toughen laws against homosexuality, which remains illegal in the country. A survey by the Pew Forum on Religion and Public Life done last April suggested that about 4 in 5 Ugandans consider "homosexual behaviour morally wrong." The 10-page decision cites a Saskatchewan Court of Queen's Bench ruling from 2002 that the Ugandan judge calls a "persuasive decision." Ironically, the decision was overturned by the Saskatchewan Court of Appeal in 2006. The Ugandan decision does not mention the later Canadian decision.